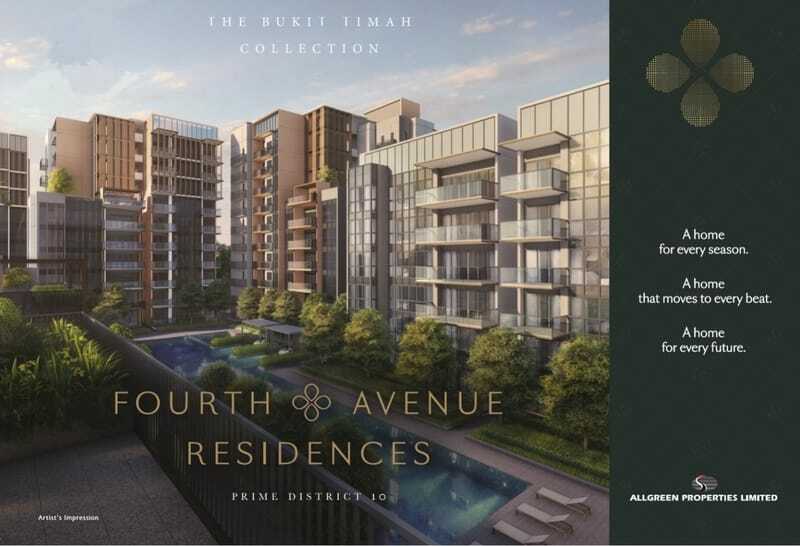 Fourth Avenue Residences is a collection of 476 exclusive homes nestled amidst lush greenery and Good Class Bungalow Areas in Prime District 10. You are served by Sixth Avenue MRT station at its doorstep with covered shelter. In addition, you are also surrounded by Singapore’s prestigious schools. The Kuok Group real estate arm in Singapore is Allgreen Properties Limited. Today, Allgreen is one of the largest property groups in Singapore reputed for its quality products and track record of strong take-up rate for its projects. Allgreen’s portfolio of development properties consists of a mix of condominiums, terrace, and semi-detached units. These properties are on freehold and 99-year leasehold tenures. Allgreen purchases land from private parties and participate in land tenders called by the Government to selectively and continuously maintain a landbank. Let’s Review and Comment whether Fourth Avenue Residences is a Good Buy!